The first showing of Pillsbury films, accompanied by a lecture, outside of California was made to the National Press Club in Washington D.C. on October 21, 1915. The event was instigated at the request of Stephen Mather, who would be named the first Director for the National Parks. This event helped him achieve that goal. The brief report goes on to mention, “At the conclusion of his lecture, Stephen T. Mather, Assistant Secretary of the Interior, in charge of national parks, spoke of the good roads movement now being conducted by his department.” Mather was determined to establish himself as Director of a separate agency within the Department of the Interior to run the National Parks, but the roads movement was not led by Mather. That movement, started in 1912, was started by Carl Fisher, and would result in the trans-continental Lincoln Memorial Highway, stretching from Times Square New York to Lincoln Park, San Francisco as a popular privately subscribed to movement to unite America. Coast-to-coast newspaper coverage, the hundreds of lectures, and thousands of theatrical motion picture presentations across the country, made by Pillsbury showing the wonders of Nature and their connection with the establishment of the National Parks -- all was disappeared through the elimination of his name and photos and films in every accessible archival venue; and from the history of the NPS. Mather had strong connections with the University of California System, as one example, and appears to have used his and Albright's influence to eliminate Pillsbury's name from the official photos Pillsbury had taken in Yosemite. 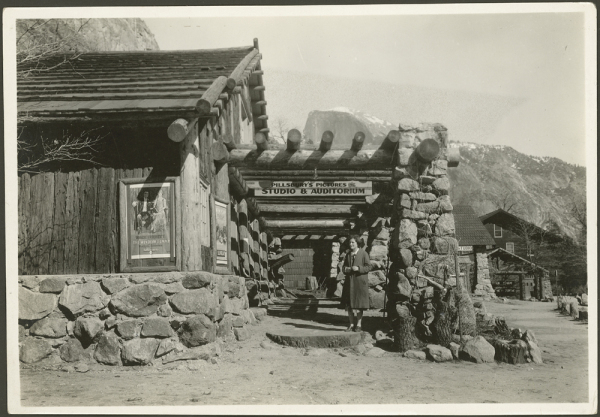 Another example of this, is the obviously official Yosemite photos taken by Pillsbury on the occasion of the opening of the Ahwahnee Hotel in early summer 1927; instead, these were credited to Harry Pidgeon at the Madden Library of the system in Fresno. When the impossibility of timing, quality, and the nature of the photos, which contain multiple officials and celebrities only there to attend the Opening, was pointed out to the Library, these were removed from public viewing. But this did not happen before we copied them. Today, photos are re-appearing on the Internet. Mather showed the same lack of conscience towards Pillsbury that Mather exhibited towards Mather's former employer who he defrauded, Francis Marion Smith, aka the "Borax King" or "Borax Smith", of Pacific Coast Borax. Mather and his partner, Thomas Thorkildsen, would end up with the equivalent of $500,000,000 from stealing Smith’s clients, carried out by Mather while still working for Smith. Mather would claim part of his resentment was not being compensated, over and above his generous salary, for adding the words, “Twenty Mule Team Borax” to the image of a team already on Smith’s product. MORE; In like manner, Mather contributed to the death of David Curry, who Mather attempted to drive out of business, so Mather’s Desmond Park Service Company (DPSC) could have a monopoly in Yosemite Park. Mather, looking for the means to become the first Director of the yet unfounded National Park Service, immediately realized Pillsbury’s films could get him what he wanted. He would use the inspiring films Pillsbury created, to gain his own end. Not able to understand the genius which had made Pillsbury’s inventions possible, Mather viewed him as a talented photographer who he could dominate and control. He was wrong. It was after he had launched his campaign for the National Parks that Mather realized he had miscalculated. Pillsbury had studios around California and San Francisco. He focused on multiple subjects and was building a business in film which had moved into broad distribution. Eliminating Pillsbury as a threat to his control would be difficult, so Mather began working on a plan to make Pillsbury financially vulnerable because it had dawned Mather he could not control Pillsbury. Realizing finally, that Pillsbury was a Preservationist with an agenda which included protecting all the trust lands and even extending these, could prove to be a problem conflicting with Mather's plans for elite hotels, golf courses, mining and land swaps. Because of the exploding, nation-wide impact of Pillsbury’s work on public policy and culture; Mather took steps to eliminate him both from Yosemite and from History. Ignoring their previous agreement, Mather required Pillsbury to close his operations outside of Yosemite. This demand was not made until 1924, though the agreement had been reached nine years previously that Pillsbury would be the official photographer for Yosemite. That Pillsbury had been carrying out these duties is obvious. Pillsbury provided special objects for presentations to VIPs and did both the filming and stills for official use from 1915 on. Naturally, Pillsbury kept negative copies of these photos. Therefore, the body of his work must be removed at the time of the arson fire, and the photographic and cinematic work must be stored safely for future use or reattribution. This took place through Mather's contacts. So, the Pillsbury janitor was persuaded to cooperate with promises of future benefits. On orders, the janitor removed the Pillsbury Collection of negatives from the Pillsbury Pictures Inc. Studio, located in a secure collection room in the Studio built in New Village in 1924. The Pillsbury Studio also included a motion picture theater. The family called it simply, The Studio. Others called it The Pillsbury Studio, subsuming all of its functions. More Mather’s arsonist burned the Pillsbury operation in Yosemite which included a 60’ x 40’ Studio, Nature Center and a motion picture theater with seating for 375 people. Today, only the stone Pillsbury, himself carved, remains to make its location near the Yosemite Visitor's Center. 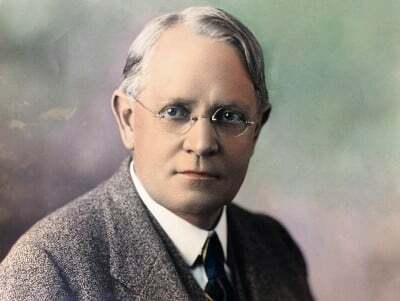 After Mather's death in 1933, Horace Albright, who inherited stock from Mather in the merged companies of the bankrupt Yosemite Park Company and the Curry Company, continued this work for him until his death a half century later. In "The Missing Years" you find the motives which activated Albright to carry out action he knew to be criminal. You can read the book on line. It is a first measure of the power of the elites who founded the National Park System, that Mather was able to accomplish this without detection for nearly a century. That he possessed methods to render someone well-known and respected, a non-person, is the first lesson to be learned from this story. This power is essential for understanding media today. Positioning himself with the new wave of control, manipulating all of the functions of American government, to force, by law, monopolies of land, utilities like the Bell System, currency and banking with the Federal Reserve System, and even aviation. For Mather to secure the power for which he hungered, which included land-swaps for extractive industries. Mather ironically wanted Pillsbury’s technological approach to connecting people to Nature, as the means to accomplish his goal. More on this is now being researched and confirmed; an instance of this is the Sierra Club. Pillsbury had shown his Nature films after dark in Yosemite from the porch of his Studio of the Three Arrows, starting in 1909. The next year, this became a regular event taking place several times each week. His movies were already being shown as short features in movie theaters. Pillsbury’s goal was to remove the institutional limitations then already in place, to keep Americans from understanding the Natural World, of which they were a part. The goals of the two men were polar opposites. My father, Dr. F. Pillsbury, had been unsure History was being rewritten until he received the Sargent book as a gift 1977. In the February 9, 1978, letter to Harrison, Dr. Pillsbury says that on one trip back to Yosemite to share his childhood memories with his children, myself included, Dr. Pillsbury was told by an employee of the Best Studio that, “there was a strong effort to play down Uncle’s role in the development of Yosemite. I never did check up on that charge.” Father told me about this during our interviews. These events, the book and the comment, caused Dr. Pillsbury to reflect on events which took place early in his life. 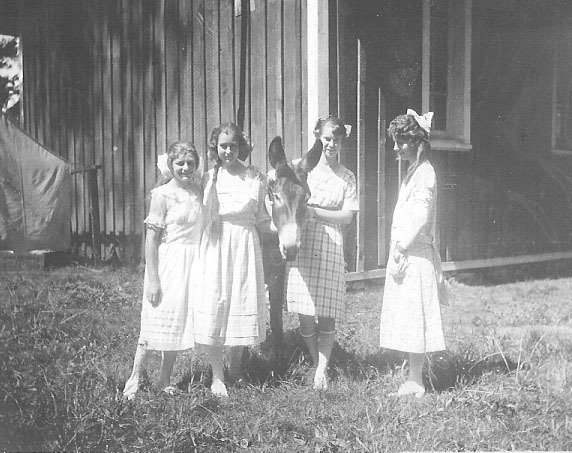 L - R: Virginia Best, Grace Pillsbury, Winkey, Ellen Boysen and ? be of importance. Any daily routines, habits, customs, values, special events, would be worth hearing about.” Harrison never comments or asks about Dr. Pillsbury’s concern or about Sargent’s book, which carefully edges around Pillsbury’s work in the Valley. In his February 13, 1978 letter, Harrison gets specific, asking, “What was your Uncle’s emotional reaction to the burning of the studio in Yosemite? Did he ever talk about it? Did he or anyone else ever suggest it might have been intentionally set?” Dr. Pillsbury had mentioned it having taken place in 1927 in his short response to the previous letter written by Harrison. Harrison goes on to say, placatingly, “Everyone I have corresponded with in Yosemite speaks very warmly and highly of him.” I, Melinda Pillsbury-Foster, was sure this was true because I had exactly the same experience. Two specific incidents of this were, first, a comment by a professional photographer in Los Angeles whom I met when he was photographing candidates, for whom I was managing campaigns in 1982. He asked if I was related to Arthur C. Pillsbury. He told me he was a great man. The tone in his voice was filled with reverence. Later, I was very sorry I did not follow up and keep in touch with him. Like Dad, I was busy with other things. In the early 1990s, after my Father, Dr. Pillsbury, was dead, I called Leroy Radanovich, the photographer responsible for handling the photographic work for Yosemite for decades in the late 20th Century and into the 21st, to ask about having some photos reproduced from the Yosemite Research Library. After he said, “Hello?” I got right down to business. I said, “This is Melinda Pillsbury-Foster and I need some photos printed.” There was a pause, then Leroy said, “Your Grandfather was a great photographer.” I responded with, “Thank you.” At which Leroy said, sounding stunned, “You really are his grand-daughter?” Grandfather’s work had that kind of impact despite the fact he had been dead for half a century. The exchange between Harrison and Dr. Pillsbury began in early 1978, a half century after the Pillsbury Studio was lost. Dr. Pillsbury offered nothing more on the issue of the fire. Dr. Pillsbury’s father, AC, had returned only briefly to the Valley to get personal items from the cottage where he lived while in the Valley. His son, Dr. Pillsbury, then 23, had traveled at the request of his father to the Valley later, finalizing the sale of his father’s Studio and the concession, to the Yosemite Park & Curry Company (YP&CC); then run by Donald Tresidder, who had married Mary Curry, and forced out Foster Curry, Mary’s brother, by 1921. MORE on Foster Both were the children of David and Jeannie Curry, the founders. But questions were awakening. During the correspondence with Harrison, Dr. Pillsbury would experience a revelation. On February 14, 1978, Dr. Pillsbury responded with a nine-page letter with recollections of his father and life in the Valley. Since 1974, the days before Valentine’s Day had been a sad time for everyone in the Pillsbury family. On February 12th that year, Carol Sylvia, Dr. and Mrs. Pillsbury’s second daughter, had died suddenly of a heart attack at age 36 just before she was to come see them to celebrate her birthday. Writing the letter, he later told his youngest daughter, Melinda, his writing had taken his mind off the heartache. A heaviness began to grow in Dr. Pillsbury’s mind. What could he do to ensure the father he loved, would be remembered for what he had created? Dr. Pillsbury had made a promise to Virginia not to mention the story relayed to him by Tompkins, during his visit to Yosemite Valley in early 1928 to arrange for the disposal of the property. Harrison’s letters to Dr. Pillsbury slow down to one a month, then they stop from June until October 5, 1978. Dr. Pillsbury’s first action in 1928, as a young man returning to Yosemite Valley, was to find Tommy Tompkins to hear what he had to say about the fire. His father had not talked about the fire during their phone call. As he had always done, Arthur C. Pillsbury remained up-beat and confident he could handle any eventuality. He had done so alone on his 2,600-mile journey down the Yukon River as he photographed the opening of the mining towns. But this time he would be fighting forces he could not see who were following an agenda for control, which, today has grown almost beyond the control of Americans. Father was coming to his own epiphanies, independently. Harrison had responded to the agonized letter of January 21 1985 with two cheery post cards, one sent on March 31, 1985 and the other on September 29, 1985. The latter post card read, “A belated thank you for the outline of “Uncle’s” life. I enjoyed reading it and I am glad you wrote it down. Thanks too for the d’orotone, I have it hanging on the wall at work.” Harrison does not response to two more ‘notes’ from Dr. Pillsbury. It has been ten years since the Pillsbury Collection, for which the family has been searching since 1946, has been located. Harrison was not only aware of the Collection but was told about its discovery by Virginia Adams, having learned about it from her husband, Ansel. These events began in October, 1978 and continued until Harrison had missed the opportunity to buy the collection for Adams in mid-1979. This marked the end of the on-going correspondence with Dr. Pillsbury by Harrison. As far as I know, Father did not respond to Harrison’s letter of November 27, 1988 but they might have been using the phone. Harrison had withheld the location of the Pillsbury Collection from Dr. Pillsbury for ten years! Father was angry, though he did not say very much. But after this he began asking me to help him, as I was writing family history as I dug into genealogy. Harrison sent another letter with a contract for Father to sign, dated January 21, 1990. The balance of their communications took place by phone, from what Father told me. I reviewed the contract Harrison sent after Father died and communicated with him briefly. One of those calls Harrison demanded $5,000 from me, Melinda, for his past research. I declined the offer. I had not read the correspondence with Harrison until some years later. What time I had was spent traveling to locations to do research the old-fashioned way. During my own visit to the Pillsbury Collection at BYU I found there were over 5,000 stills in this small remainder of AC Pillsbury’s life’s work. This does not take into account his films, of which few were present. Over the years from Father’s death to 2014, I had several conversations with Harrison. During these, he told me he had sold the d’orotones from Father to make a down payment on his house in North Carolina. Harrison had no intention of writing a book. He was sent by the Adams Family, first to see if Father had revealed what you are about to read below, and second to obtain the Pillsbury Collection for their own use. When Father died on April 12, 1991, I was still reeling from the call below, stunned, confused and outraged.